Ever wonder where the wind is blowing? 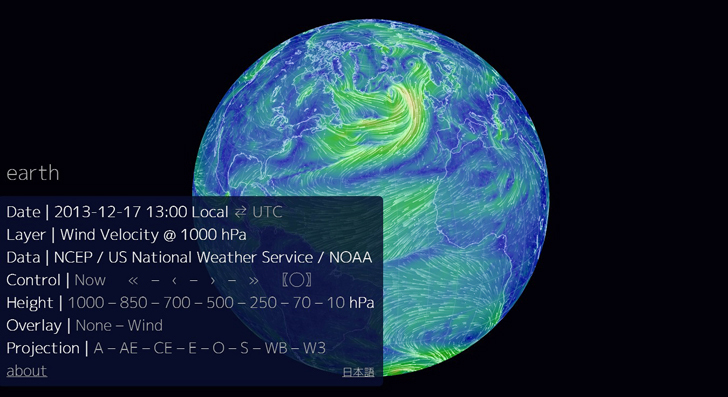 This mesmerizing Earth Wind Map showcases real-time data on global wind conditions in the form of snaking neon lines. 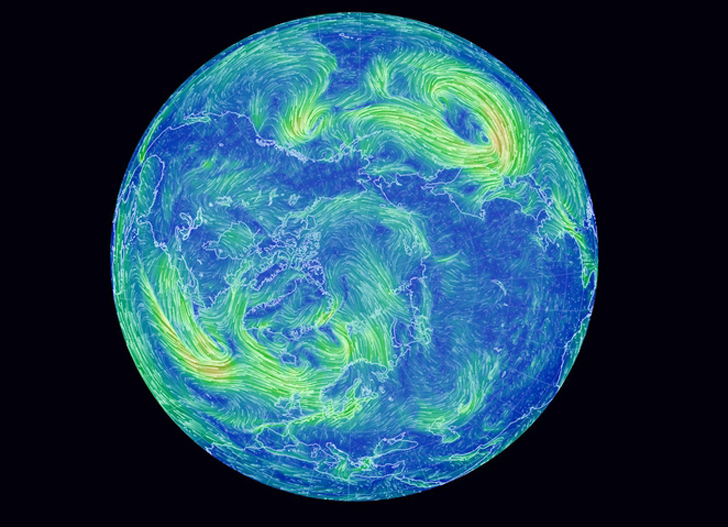 Breezes are represented by thin strands of green lines, strong winds with long streaks of yellow, while the most violent currents are shown in red. The Earth Wind Map gathers weather data from the Global Forecast System at the National Center for Environmental Prediction, a NOAA initiative. The script then translates the data into a user friendly interactive animation. Interactive maps seem to be one of the best ways of bringing environmental data to the general public – in the past we’ve also featured Google’s high-res global deforestation map, and a map showing major U.S. fires in the last 11 years. This fascinating new tool goes above and beyond by providing specific data on the position, date and conditions of wind measurements. The map is not exactly real-time, but it comes pretty close: the data is updated every three hours and it can be set to show wind conditions on any day in recent history. As the wind varies with height above the ground I would like to know at what height are plotted the streamlines of earth wind map.